I drew some more monsters! which one’s your favourite? The second page is inspired by “the internet of things”! This is where all of your devices are connected to the internet for no good reason, and hackers can have a great time with them. This entry was posted in Sketches on February 23, 2017 by Matt Roszak. all of them are quite strange and kinda off-topic… I don’t really say that I really like one of those… ….except the thorny eye. The Palmer, Evil Cave, and Sponge Rock Spider all look like they could be bosses in EBF. Nice work again Matt! I like the fat rat. The fat rat is very cute! Evil cave can be both a level and the boss of said level. The “thorny eye” looks super similar to the “morths” from the legend of zelda the wind waker. Maybe just a coincidence though. Half of these would be found in a haunted school. Lance: OMFG a free phone! Lance: mission of the day finding out the password! Matt: You think it’s edible? Lance I will make you mine! All the items on the right look like forms a Rotom would take XD. Matt you should do the Spongerock Spider in the game. that would be so funny to face this. Or a secret monster that block a path. With each character saying something before the battle. 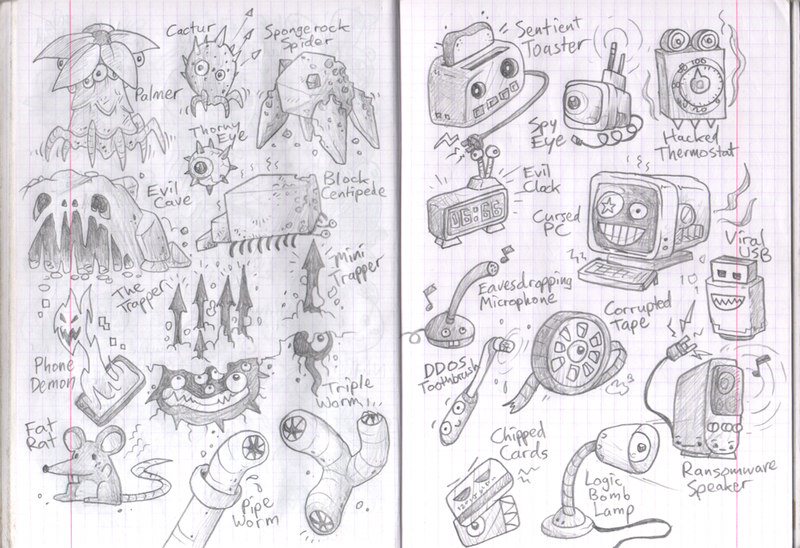 My faves are the fat rat, the mini trapper, the thorny eye, the phone demon and the logic bomb lamp. I like the spongerock, cactur, and palmer. 1. Are you going to have anything like the Lance of Creation and Blade of Destruction in EBF5? I thought those were a nice touch in the fourth game, and I was always disappointed that there wasn’t some uber-secret way of getting them. 2. Phyrnna IS doing the music for this, right? She’s my favorite music artist, and a pretty big part of why EBF4 is in my top 5 games ever list. Anyway, keep up with the good work! 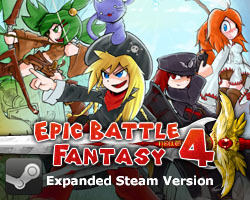 If this surpasses EBF4 the way EBF4 surpassed EBF3 and EBF3 surpassed EBF2, this is going to be truly amazing. 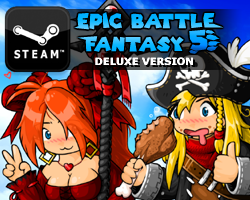 Even if it’s merely on par with EBF4, there’s no doubt I’m going to buy it as soon as I can when it comes out. 1. I might put in some more weird easter eggs, we’ll see. Fat Rat may has “Infinite Power”.